Blogger has always been one of the greatest (if not the best) Free Blogging platforms available on net with so many features like unlimited bandwidth, lot of templates, multi image uploading,etc. 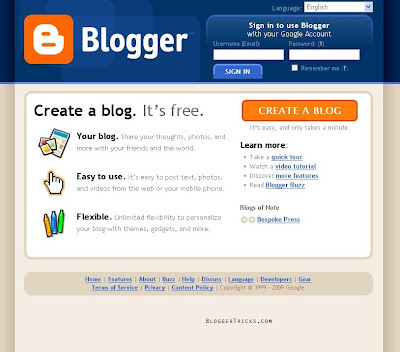 Its always nice and interesting to know how Blogger looks like in the past. So, in this post, we attempt to bring you back in time to look at how blogger look like in the past and then scan through it's history with images. 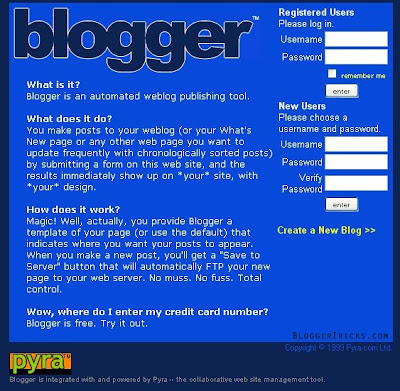 Blogger was created by Pyra Labs and was launched on August 23, 1999. It was one of the earliest blog publishing tools and it is credited for helping popularize the format. 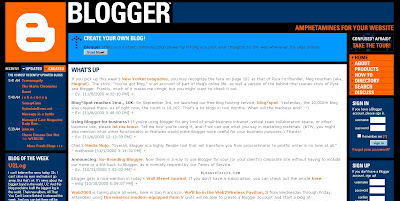 Here is it's design then..
Later, Blogger was acquired by Google Inc in the year 2003 and changed their design in 2004 and also added some cool features like Image uploading (via Picasa) , comments, drag and drop widgets, individual archieve pages for posts,etc. And also Blogger supports Google Adsense which generates revenue for the webmasters. Is Blogger going in the right direction..? Share your thoughts! hehe, that blue one looks funny. 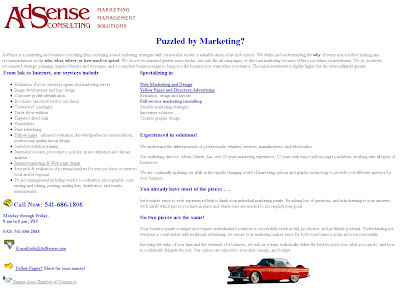 It's always neat to look back at the history of a website. Did you know at one time Pyra upgraded it's server from donations? That seams kinda funny at this point in Blogger.com history, considering the amount of money Google (who owns Blogger.com) pulls in each & every year. it's always cool looking back dude :) i love the Adsense design and logo. Blog and Bloggers has changed a lot over years and offcourse might be on the right track. That is very interesting to see how things have changed over the years. Thank you for all that you help us with. definitely blogger is going in the right way..
blogger is really a great tool..
Google is improve even year.. Cool, now i know how blogger look in 1999.